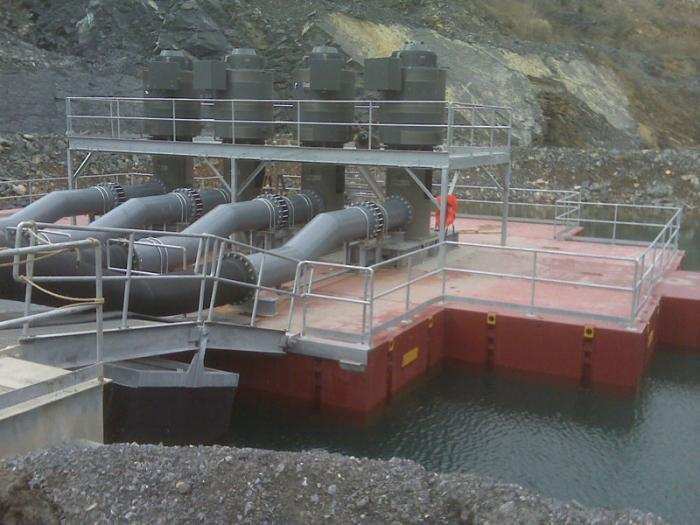 GSM was contracted to assemble eight “FLEXIFLOAT BARGE” modules to create a floating pump station designed to remove water entering the quarry in order to maintain a desired dry area. Our field crews executed this project through rain, snow and wind, while maintaining compliance with MSHA and OSHA regulations. We completed the project in a shorter timeframe than the customer expected. We began by transporting, unloading, and assembling the units on the floor of a dry quarry that would soon be Hercules’ new sump area. 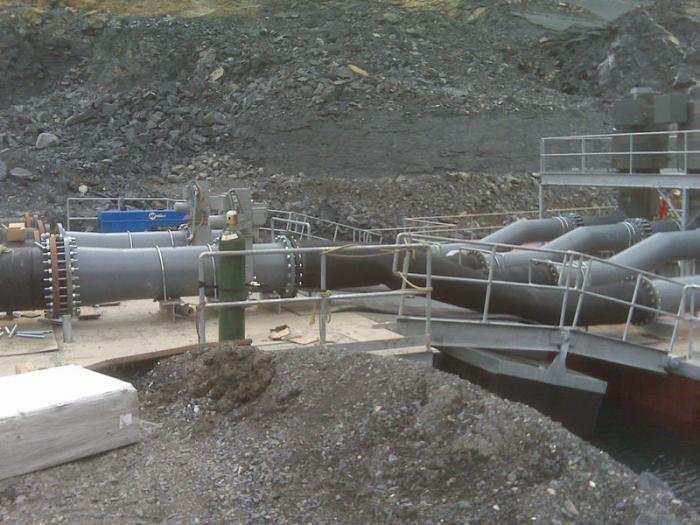 The barge assembly was then fitted with safety handrail and a structural steel access platform (for future pump access) and structural steel assemblies to mount four vertical turbine pump assemblies. Still on dry ground, the float was tied off and secured then water was diverted into the area. Once floating at the desired level, the raft assembly was pulled to shore and connected to a bridge we assembled and anchored to shore prior to flooding. Then we installed pipe supports and miscellaneous supports in preparation for the pump and piping. Using a 120-ton crane we installed the four vertical turbine pumps through the platform, bolting up to the base structure and extending 10’ below the water line. Next the 1500HP motors were installed on the pumps, and 24” diameter pipe was installed across the raft bridge to each of the pumps. The pipe has flexible rubber sections that allow for the raft to rise and fall with the water level.